Make your sleeves work for you. With something like a waterfall sleeve, you want to keep the rest of your outfit relatively simple, which is why this top works well with tailored pants or with cut-offs. Each is a foundational piece that&apos;s easy to build upon. 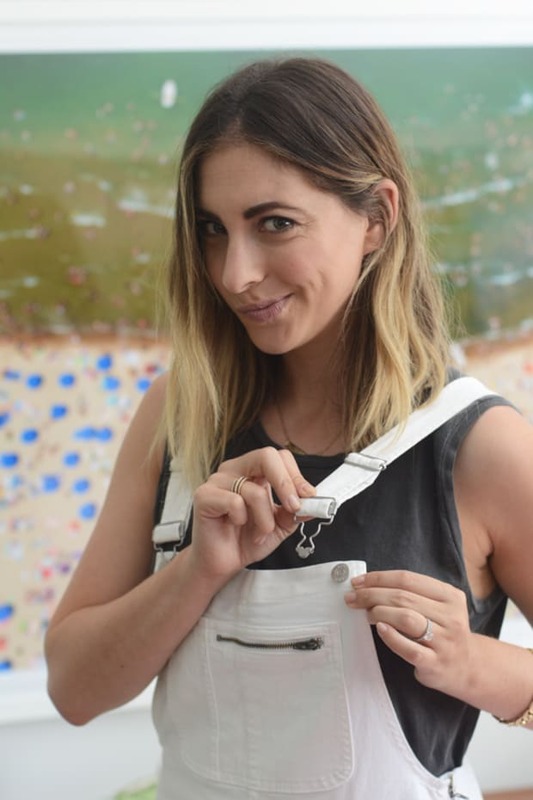 You could also pair it with a black pencil skirt or our favorite pair of skinny jeans—just stick to tailored pieces to avoid looking messy and baggy. 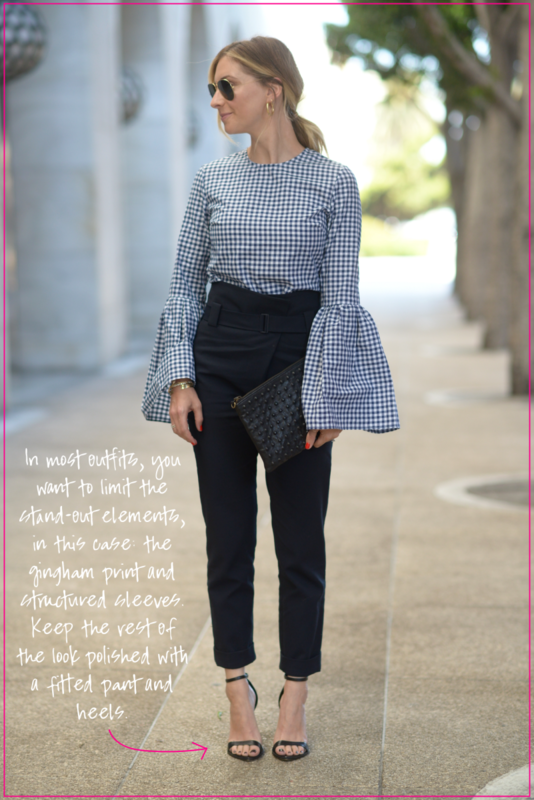 Both of these gingham tops have big, bold sleeves, so I balanced the look with black cigarette pants, heels, and bags. If you&apos;re in the mood for something more casual, try pairing the top with jeans and sandals. The outfit will still feel polished, but lighter and more summery. Off-shoulder tops are a summer go-to. Whenever I can&apos;t decide what to wear, I usually choose an off-shoulder top because it&apos;s easy to throw on and light enough for the L.A. heat. This look is perfect with boyfriend jeans and sandals or, if you&apos;re going for something dressier, with a fun heel and red lip. I often carry a clutch since a cross-body can lead to wardrobe malfunctions when paired with an off-shoulder top. 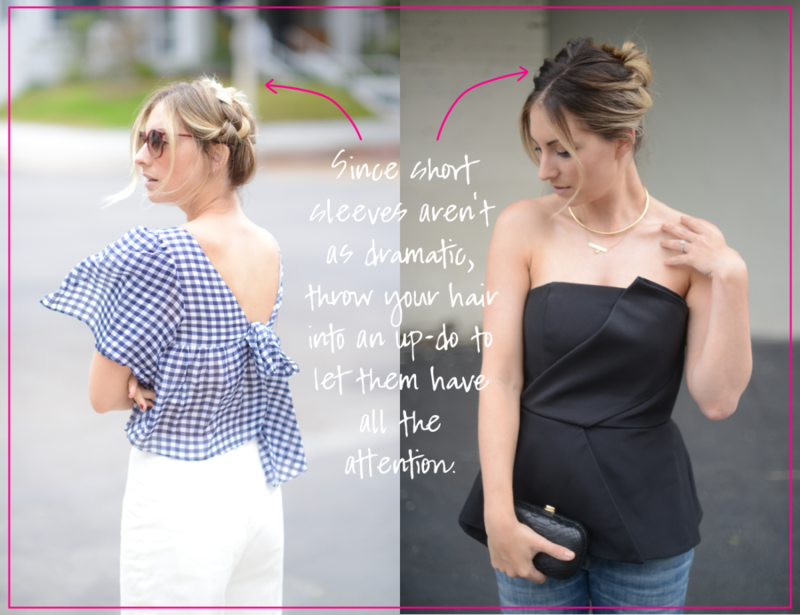 While short-sleeved and strapless tops are less dramatic than the billowy, dramatic sleeved tops, they share the same interesting, architectural elements. The tops are more understated, so add fun details to other parts of your outfit. Pair it with a pump and snake-skin clutch, or straight-leg pants and a braided up-do. Pulling your hair up will draw even more attention to your exaggerated top.